RIYADH, 6 August 2006 — Custodian of the Two Holy Mosques King Abdullah will pay a historic three-day official visit to Turkey beginning Tuesday, the first visit to the country by a Saudi king in four decades. Several key agreements will be signed during the visit. Some delegates including ministers, high-ranking officials and a large number of Saudi businessmen will accompany the king. 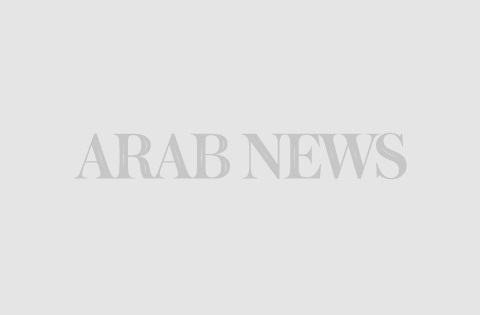 The Saudi ambassador to Turkey told Arab News that the two countries would be signing seven agreements, including agreements on duties, trade and transport. This is King Abdullah’s fifth visit to a foreign country since he ascended to the throne on Aug. 1, 2005. Earlier visits included China, India, Malaysia, and Pakistan. Turkish President Ahmet Sezer will host a state banquet dinner in the Turkish capital on Aug. 8 in honor of King Abdullah. The king is also expected to meet Turkish Prime Minister Recep Tayyip Erdogan the following day in Istanbul. “This is the first visit by a Saudi king to Turkey since King Faisal last visited Istanbul in 1966 to solidify the efforts of the Muslim world,” Saudi ambassador in Turkey Mohammed Al-Hussaini told Arab News. Since then, several Turkish presidents and prime ministers have visited Saudi Arabia, including nonofficial visits to perform Umrah or Haj, he said. He described King Abdullah’s visit as a turning point for both Saudi Arabia and Turkey, not only because it comes from the Saudi side after such a long period, but also because it was timely due to the escalation of violence in the Middle East. He said among the topics for discussion between King Abdullah and Turkish officials would be the situations in Lebanon, Palestine and Iraq. Turkey was the first Muslim country to recognize the state of Israel in 1948, and Al-Hussaini said there was no reason to stop Turkey from the role it can play in the region despite its relations with Israel. The ambassador said that both Turkey and Saudi Arabia play important roles in the Middle East as both share strategic, economic and religious significance in the region. “Turkey can play a role of a mediator since it has good relations with the Israelis and the Palestinians,” he said. “Turkey is also a member of the Organization of the Islamic Conference.” He said the Turkish people were committed to their faith and a large number of Turks visit Saudi Arabia every year to perform Haj and Umrah. He said the Kingdom and Turkey had similar views on a wide range of issues that include the situation in occupied territories in Palestine, the situation in Iraq, the standoff between Iran and the West, as well as the stance against terrorism. According to Turkish ambassador to the Kingdom Ugor Dogan, King Abdullah and the Turkish prime minister are expected to address a joint Turkish-Saudi business meeting in Istanbul on Aug. 10. Abdul Rahman Al-Rashid, chairman of the Council of Saudi Chambers of Commerce and Industry (CSCCI) and Saleh Kamel, chairman of the Islamic Chamber of Commerce and Industry, will be among the top businessmen attending the meeting in Istanbul. Both businessmen are expected to give speeches during the signing of commercial agreements. The CSCCI and the Foreign Economic Relation Board of the Union of Chambers and Commodity Exchange of Turkey are organizing the business meeting jointly. “With these agreements signed, the two countries are all set to enter a new era of bilateral relations,” said Dogan. He said the agreements would help boost commercial links between Riyadh and Ankara. He also said that Riyadh and Ankara had forged closer relations with two-way trade exceeding SR9.3 billion annually. The balance of trade has been in favor of the Kingdom. Ankara’s imports from Saudi Arabia represent 83 percent of the total GCC imports from Turkey. More than 32,000 Saudi businessmen and tourists visited Turkey last year.